First, let me get your attention. Three ingredients. Ten minutes. That’s it. 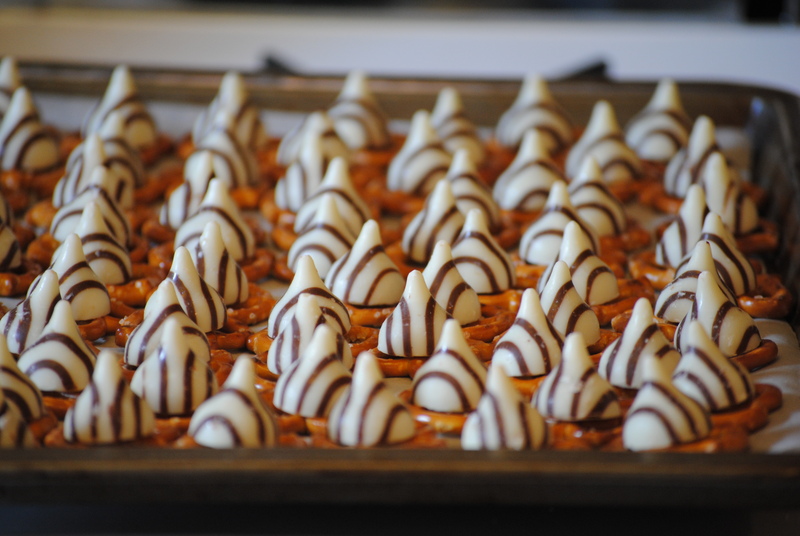 While at my friend Gretchen‘s house in early December, she made these delightful little pretzel treats. There was my usual objection as soon as I heard the word pretzel but Gretchen insisted. She is pretty persuasive because I agreed to try them (although secretly I thought they could not possibly be any good). 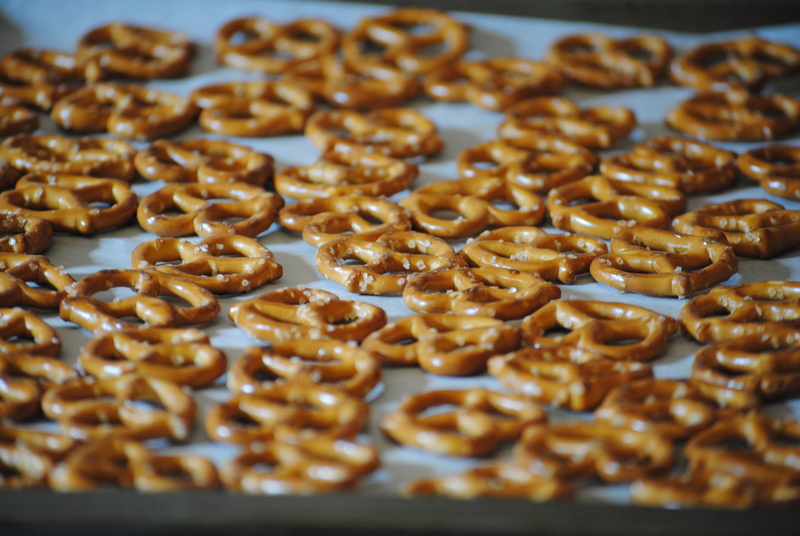 You are about to find out exactly why I am able devour these pretzels with no qualms whatsoever. and sweet, candy coated chocolate M&M’s. 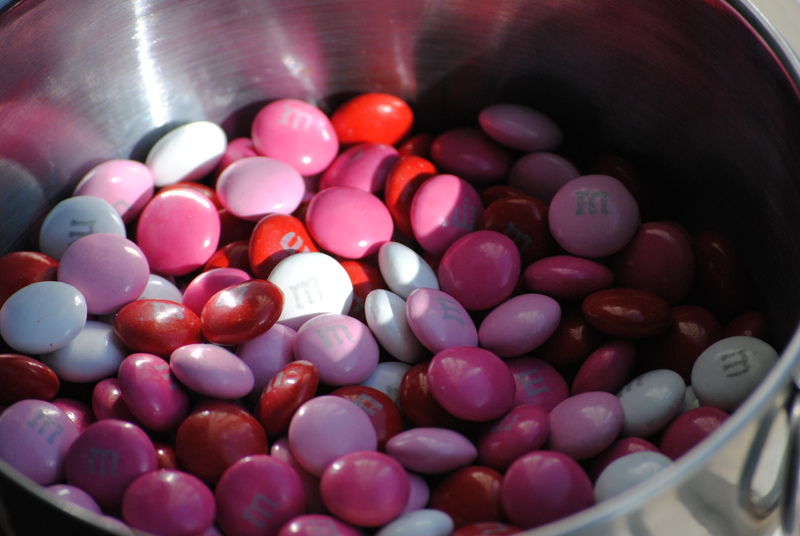 Since we are in the season of L.O.V.E., I used Valentine M&M’s. 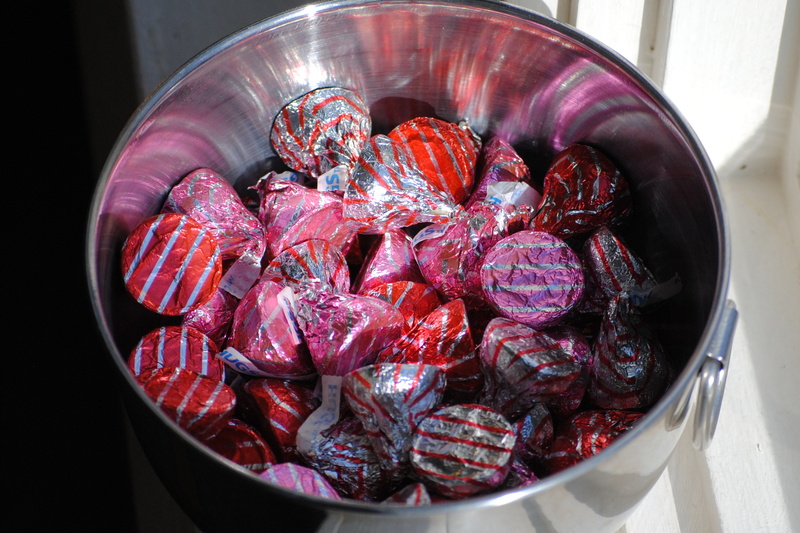 Back at Christmastime, we used the gorgeous holiday ones. I snapped some photos and had the good intention of blogging about them back then but the holiday season got the best of me. 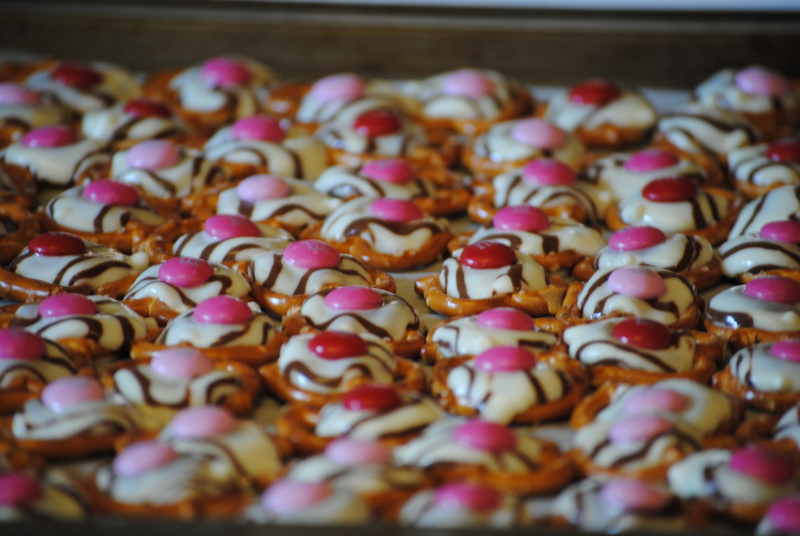 I decided that I could make them for any holiday using the appropriate M&M’s so I didn’t fret a whole bunch. That is the fantastic thing about these treats. You could make them anytime, using any variety of chocolate M&M’s. Regular multi-colored ones. (Gorgeous!) Easter. (How pretty!) Fourth of July. (How patriotic!) The list goes on and on. 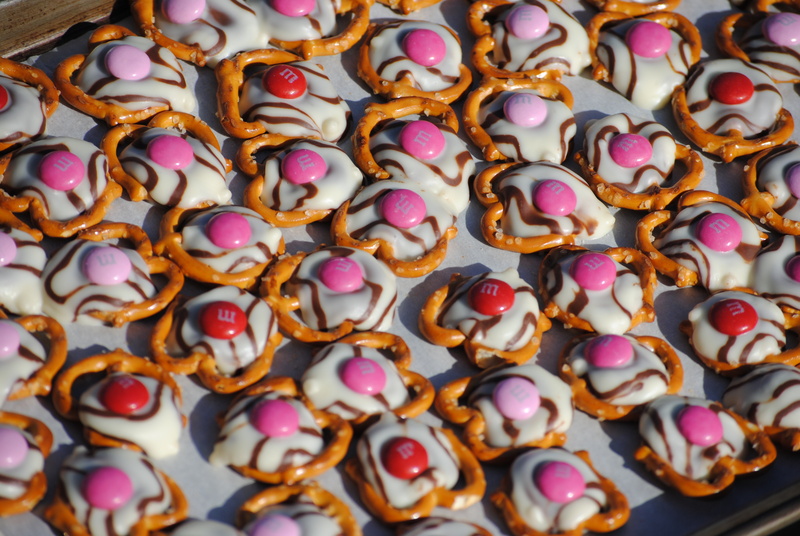 The variety of M&M’s provides a colorful way to…(I can’t believe I am thinking this…eat pretzels!…but really)…to make these delightful treats for any occasion. Thank you Gretchen! So, if you are ready, here are the details. Then, if you live in the frozen tundra like I do (and it’s February) you can set the tray outside. They just need to be chilled for about ten minutes. You could also set the tray in your freezer or refrigerator, wherever you have the space. The M&M will attach to the Hug and the Hug will harden, making a sweet little pretzel treat. Enjoy!